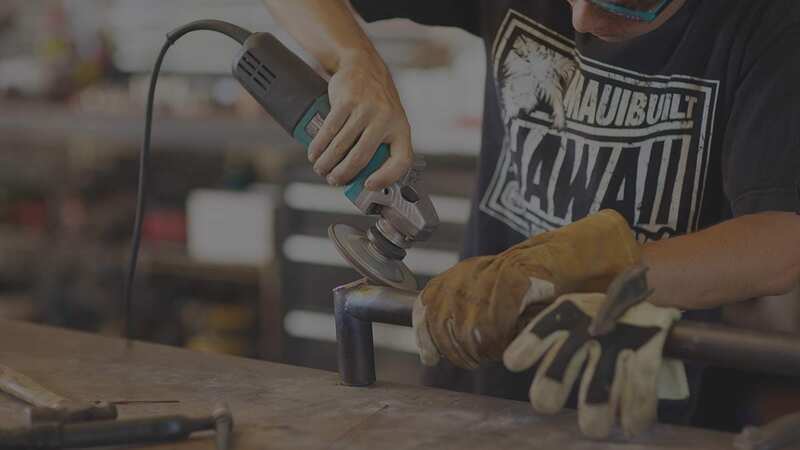 The energetic Padilla Designs studio in Central Maui is always buzzing with newly sparked projects and custom commissions. 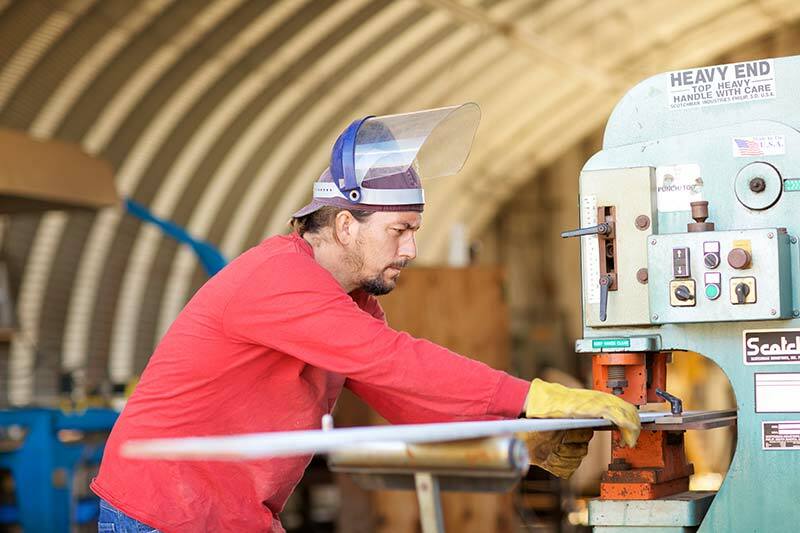 We stockpile high quality, lasting raw materials in all shapes and sizes, including: copper, brass, bronze, stainless steel, aluminum, cor-ten steel, a variety of high-end hardwoods, and plastics. Tig, Mig, Stick, Brazing welding processes. Brazing, heating, forming, rolling and pounding. CNC Plasma and water jet cutting. Power Hammer and metal texturizing. 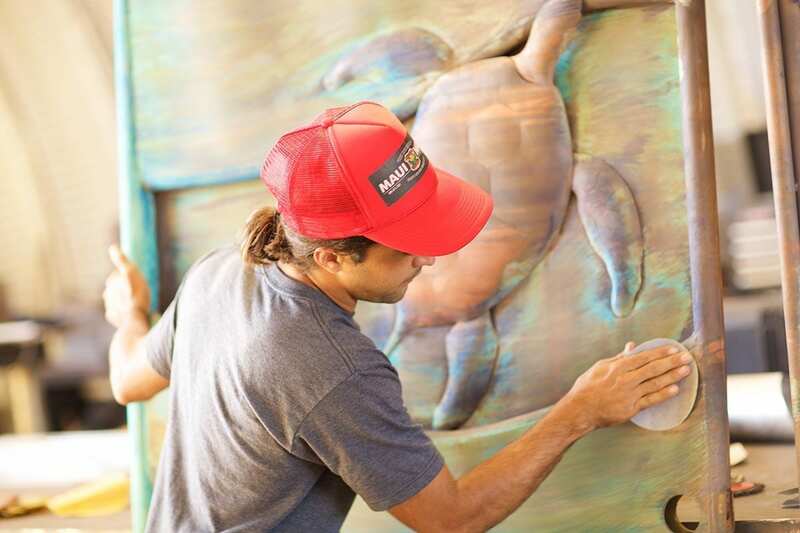 Creating living Patina finishes by applying a variety of acids that create reactions with the material and produce variety of organic shades and colors: bronze, verdigris, and blues, being the foundations. Clear coating and sealing all living patina finishes to preserve the finish and allow the patina process to continue in a subtle natural way. Industrial Sandblasting and Powder Coating on steel, stainless steel and aluminum fabrications.